Scientists are known for being critical thinkers, experimental experts, and data enthusiasts. It’s probably no surprise that many of us are also undeniable nerds. Eric Spana, Assistant Professor of the Practice in Biology at Duke University and long-time GSA member, is no exception. For the past two years, Spana has been combining his love of science and his nerdiness by giving presentations in the science track at Dragon Con – a multi-media pop culture convention that happens every Labor Day in Atlanta, GA, and attracts over 60,000 attendees. During these presentations to packed rooms, he discusses the application of scientific facts to some of our favorite fictions. In 2015, he gave a talk on the genetics of the wizarding trait in the Harry Potter series. In the world of Harry Potter, witches and wizards can perform magic, which Spana defines as “breaking the rules of physics by just thinking about it.” Those who can’t perform magic (so, you and me) are Muggles. Two Muggles can produce a wizarding child, and two wizards can produce a non-wizarding child, known as a Squib, although this is rare. Generally, all members of a wizarding family can do magic. 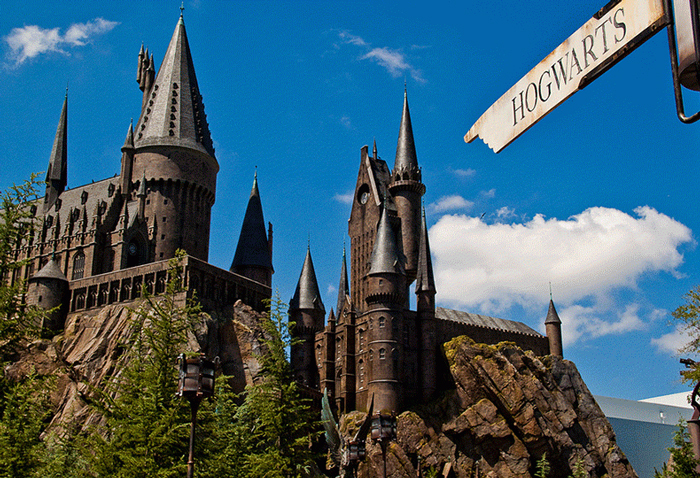 Author J.K. Rowling has stated that the wizarding gene is dominant, which – if true – requires a bit of explaining. Spana says, “I look at it as engineering problem solving. If a writer creates something, it’s my job to figure out how to make it happen. If J.K. Rowling wants the wizarding gene to be dominant, then okay, I can make that happen.” Wizarding genetics has received quite a bit of attention among scientists and fans, with papers being published and fan theories being sent to Rowling herself. He became interested in the genetic transmission of the wizarding trait while teaching a class on genetics and developmental biology. The beginning of the class covered basic topics like ploidy and recessive versus dominant traits, which Spana admits can be a bit dry. Since then, he’s refined his theory of a dominant wizarding gene through literature review, hallway conversations with colleagues, and discussions with an independent undergraduate researcher in his lab. His current explanation is that the wizarding trait is indeed dominant, with de novo mutations accounting for Muggle-born witches and wizards. As for explaining Squibs, he’s settled on his colleague’s idea of a second-site transcription factor that inhibits the wizarding gene. 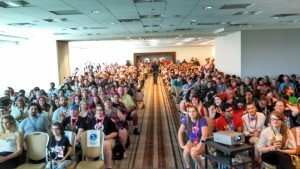 Spana’s presentations at Dragon Con have gone very well, with standing-room-only audiences in large rooms of the convention. 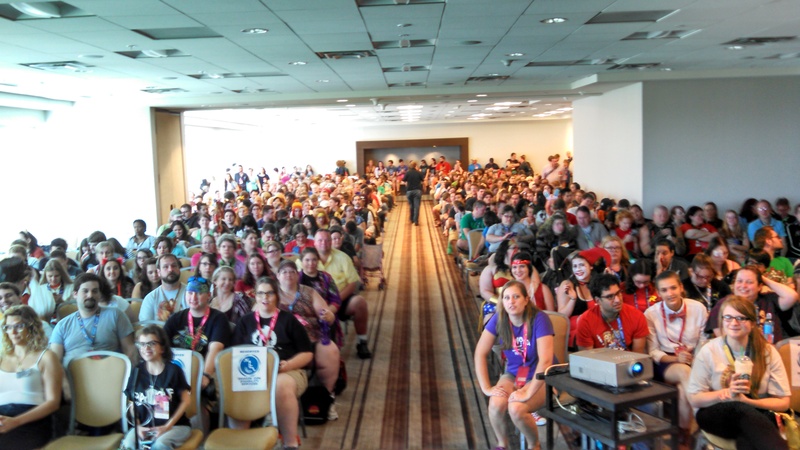 The crowd for Spana’s 2015 Genetics of Wizarding talk. He says that people love science, and as he explains recessive and dominant traits using slides illustrating the famously redheaded Weasleys and Harry’s redheaded mother and daughter, he can see the topics click for his audience. Savvy audience members have asked questions about other interesting members of the wizarding world, including Nymphadora Tonks, a Metamorphmagus (meaning she can change her physical appearance at will) who had a Metamorphmagus son but was born of non-Metamorphmagus parents. There are giants and near-human magical peoples (like Veela) to account for, and the very interesting subject of population genetics is ripe for investigation. Spana, ever the problem solver, is looking forward to tackling these subjects in future talks. And since Muggles can’t make potions (no magic, no wand, no potion! ), Spana is just going to have to use science to explore the magic.